The big questions - Burial or Cremation? Is there a specific place where you’d like to be buried? A local cemetery, church graveyard, or Green Burial site? Contrary to popular belief, you can be buried in your own back garden if you want to, but it does, of course, require the fulfilment of certain conditions, such as inclusion on the house deeds (not to mention the agreement of your loved ones who will be gardening, and BBQ-ing next to you for however many years, or may want to sell the house at some point). The same goes for any burial plot – permissions need to be given and conditions met. There’s also cost to consider – burial is almost always more expensive than cremation, as it involves purchasing a plot, as well as a burial fee, grave digging costs, a possible headstone, etc. And if you want to be buried in an area where you are no longer a resident, the fees will rise astronomically. In terms of the ceremony, you can have a graveside service, although the unpredictable British weather can make for interesting proceedings! It’s one thing standing in a summer meadow, sharing memories as the sun shines and birds sing, but quite another when the wind is howling and I’m shouting to be heard over the drumming of rain on umbrellas. Some cemeteries, however, have a chapel where you can hold a ceremony first before making your way to the graveside for the committal. Although some of these chapels are very small, not particularly comfortable, and audio-visual facilities virtually non-existent. There’s also the option of a church service, if you are religious. Or you could have your ceremony at a separate venue either before or after the burial, such as a village hall, function room, even your own home, where refreshments can also be taken there afterwards. Crematorium services do have time restrictions. For example, my local crematorium has 30 minute services – this includes the time it takes to enter and leave the chapel so you actually end up with about 20 minutes for the ceremony itself. Although you can book an extended ceremony of 60 minutes. Other crematoriums have 45 minutes or services on the hour. Fees vary depending on whether you are having just a committal, a standard ceremony or extended ceremony. The time of day can also factor in the price – early services tend to be cheaper. While a Saturday ceremony will be more expensive. Most, if not all, crematoriums are happy to show people around, with prior arrangement. It’s certainly worth doing as, not only do you get to see the chapels and grounds, but you’ll also be given a glimpse of what happens behind the scenes. This is all done very sensitively, of course, and it gives the general public a chance to learn about what really happens and reassuringly puts to rest some of the myths and mis-information that seems to abound, ie. that coffins are re-used afterwards, or that ashes from various bodies are combined. Neither of which is true! There are some interesting (and downright bizarre) developments happening in the world of funerals, in particular the options for what we can do with our bodies, from freeze drying and mushroom suits, to eternal reefs and space burial. Some of them are available now, some are still being fine-tuned. Who knows what will be on offer when our time comes?! But if you’ve seen something that takes your fancy, write it down. You might also want to start saving as most come with a hefty price tag! With a cremation you do, of course, have cremated remains to consider. Ashes are available for collection a certain number of days after the funeral, either by the Funeral Directors on behalf of your family, or by your family. This will have been agreed beforehand. Or, as I mentioned earlier, your ashes can remain at the crematorium and be scattered or interred there by staff alone, by staff together with family members, or in a short ceremony with a celebrant or minister. If you don’t want your final resting place to be the grounds of a crematorium then, frankly, the world is your oyster! Is there a favourite spot where you’d like to have your ashes scattered – a beach, a garden, by rocket into the sky? Or would you like your ashes interred alongside a loved one in a cemetery or underneath a tree in a Woodland Burial Ground? Or perhaps you’d be happier in a nice urn on the mantle piece where you can still see the telly? The decision is yours. Although, like most things we’ve talked about so far, there can be considerations and permissions to factor in – requesting your ashes are scattered in your favourite pub, for example, might not go down well with the landlord and locals. So check first. We’ve talked about funeral ceremonies which happen on the same day as the committal – either at the same time, beforehand or afterwards. But if you want more of a celebration of life, or memorial ceremony, on another day, away from the committal, you perhaps have more freedom of venue and location. You’ll notice this often happens for public figures or celebrities, where there is a private funeral but friends and colleagues gather for a memorial ceremony in the weeks that follow. So you could have a special gathering somewhere much more personal to you – on a beach where you holidayed, in a park where you walked the dog, a pub that was your favourite watering hole or some other landmark which has meaning to you and your loved ones. These provide the opportunity for more of a ‘party’ in your honour, if that takes your fancy. It could also tie in with the scattering of your ashes. What if there is no body to bury or cremate? This might happen if someone has left their body to medical science, chosen to end their life at a facility such as Dignitas, or perhaps their body was never recovered following an accident. But in all these cases, and others, you can still have a memorial ceremony. I did such a ceremony for a man who was lost at sea and it was a truly wonderful event, in terms of being both comforting and uplifting. It gave his family and friends the much-needed opportunity to come together, acknowledge his loss, celebrate his life and say farewell in their own way. WHAT DO YOU WANT THE FOCUS OF YOUR CEREMONY TO BE? This is a funeral ceremony where you, your life, and the people who shared your life, are the main focus of events. You can make this as colourful as you like with all sorts of music, video clips, tributes, photographs (more on all that in just a moment). Or it can be a simple, un-fussy affair. Whatever you decide, this would be led by a Funeral Celebrant, like me, (also known as Civil Celebrants or Independent Celebrants) or a Humanist Celebrant. You could choose your own celebrant, even go so far as to plan your ceremony with one beforehand should you wish to. But bear in mind that if you plan your ceremony now while you are, hopefully, in good health, you may outlive the celebrant who could retire (or even expire!). Whoever you, or your family choose, the Celebrant needs to be a good listener – absolutely in tune with your needs – they must be able to write a good ceremony which is as comforting as it is meaningfully ‘enjoyable’, and deliver it in a warm, professional manner. They will also be responsible for setting the right tone on the day so it’s important to choose someone who can do all these things in keeping with your wishes. 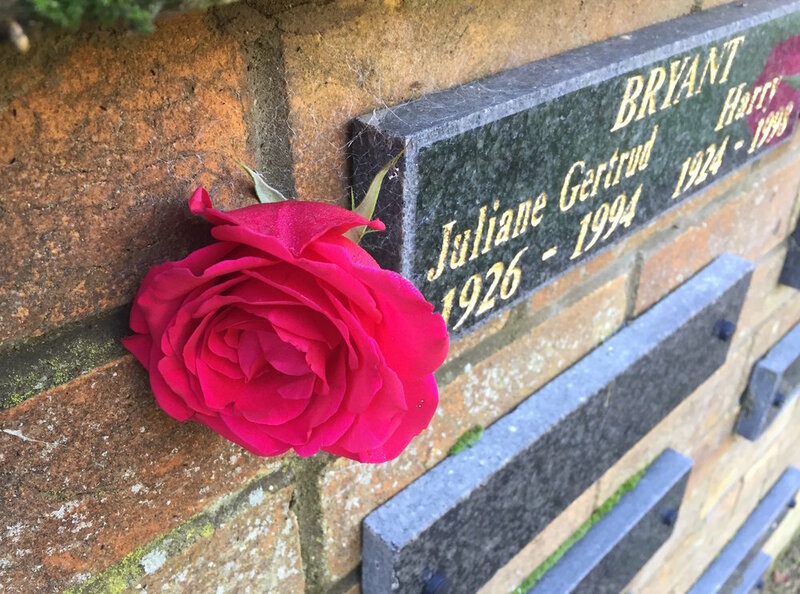 A tall order and, needless to say, some celebrants are better than others, so get recommendations from people you know, as well as those in the funeral world – crematorium staff see a wide range of celebrants every week so they are good people to ask. Your ceremony could also be led by members of your own family or friends, which would make things very personal indeed. Although it may still be wise to have a celebrant to simply act as a ‘master of ceremonies’ to make introductions and guide things along. It’s not easy to organise things and deal with practicalities on the day when emotions are running high. A ‘life-led’ ceremony with some spiritual/religious content. The same as a life-led ceremony but with the addition of a little bit of spiritual content such as a hymn or religious reading. This could be anything from The Lord’s Prayer to Buddhist teachings. Or you may just want to have a hymn as it reminds you of school, your wedding, or because you simply like the tune. People also choose hymns because they have family members who are religious or would appreciate the opportunity to sing together. A Celebrant can still perform this type of ceremony – the religious or spiritual aspects are read on your behalf rather than coming from any beliefs the Celebrant may or may not have. Your won’t, however, be able to have a Humanist Celebrant for this type of ceremony as they have a non-religious philosophy. If you have a strong faith or are a regular church-goer you will, no doubt, desire a fully religious ceremony led by a minister or relevant faith leader. You can specify who you’d like but, again, depending on the time between your planning and passing, it may not be possible. Whoever takes your ceremony will charge for their services. These vary from Celebrant to Celebrant and, of course, there are also church and ministers fees. These fees change annually but if you want an indication of costs, you will be able to look on-line or you can ask your local funeral director.